Why PerfectPrimer is a Top Choice for Pros Too? PerfectPrimer for epoxy and decorative concrete overlays’ is the top choice primer amongst do-it-yourselfers both with and without experience, primarily because it comes ready to use and is easy to apply. The primer is one of the most versatile products currently available in the market. It is compatible with a wide variety of surfaces and finishes. 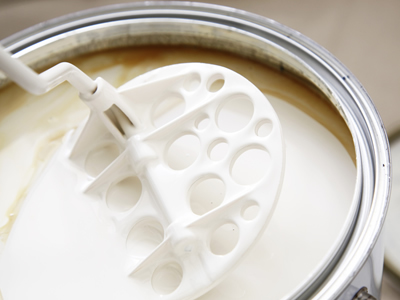 As a professional, you can purchase the primer and make use of it on a variety of projects. 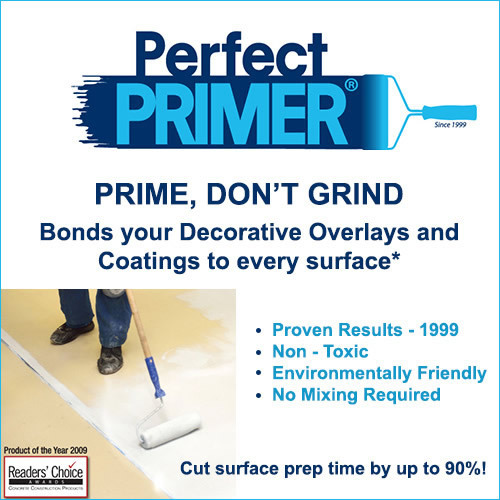 PerfectPrimer cuts down on prep time by eliminating the need for grinding or replacing surfaces. It treats the floor so that your coatings can be directly applied over black mastic and other difficult surfaces. Many pros are able to take jobs that they previously wouldn’t as a result. Projects don’t require as much input in terms of man hours, equipment, and money. With many clients concerned about their health and the environment, using a non-toxic and environmentally friendly primer is vital. It also eliminates the need to remove Asbestos, silica dust, lead paints and PCB’s in concrete. This makes PerfectPrimer is therefore a great choice for residential projects.